Construction crews began a six-day closure of La Jolla Village Drive at Genesee Avenue at 9 p.m. Friday, for the trolley line extension. 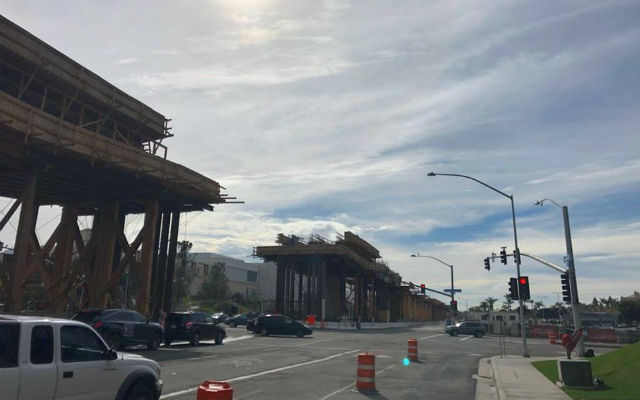 The closure is necessary to install 60-foot concrete girders, which weigh up to 200,000 pounds and are part of the infrastructure for the Metropolitan Transit System‘s Mid-Coast Blue Line Trolley Extension. 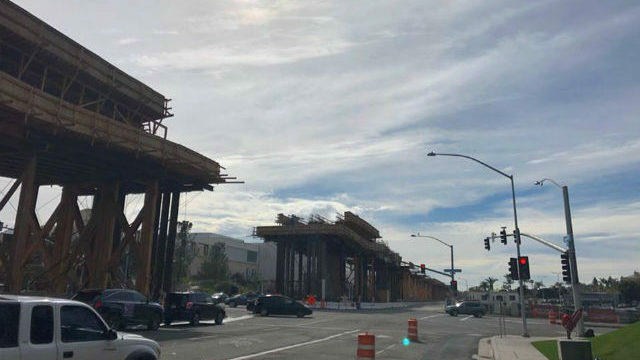 Closure of La Jolla Village Drive and partial closure of Genesee Avenue will be necessary until Feb. 15, when SANDAG officials expect the girders to be set and the concrete to be dried. While La Jolla Village Drive will be closed completely during the period, one lane in both directions on Genesee Avenue will be open over the weekend and at nights, and two lanes during the day from 5 a.m. to 9 p.m. Monday through Thursday. The closures are part of the $2.17 billion Mid-Coast Trolley Blue Line Extension, which includes a planned 11-mile extension of trolley service from Santa Fe Depot in downtown San Diego to University City. The extension will add trolley stops in Mission Bay Park, UC San Diego and Westfield UTC. SANDAG is receiving $1.04 billion in funding from the Federal Transit Administration to complete the project. The extension and related projects are intended to reduce traffic congestion as the county’s population increases. Construction on the extension began in 2016 and is scheduled to be fully completed in 2021.